Will New Technology Make Dabbing Approachable to Older Generations? Last week, I facilitated my friend’s first dab. She watched me light the titanium nail with a torch, her eyes wide as if to say, “I didn’t know we needed welding tools to do this.” I placed the sticky globe over the nail and told her to her place the dab inside once the red hot metal cooled. She awkwardly took the dab rig in one hand while balancing the crumbly oil on the dabber in the other. When it met the hot nail, the crumb of wax evaporated into a thick cloud that quickly disappeared as she sucked it in her lungs. The exhale began smooth, but ended in a fit of violent coughing followed by what I call the “dab stance” (laying face-down on the floor). This is what dabbing can look like to a first-timer. For those who have never seen or tried dabbing firsthand, mainstream media paints an even sketchier image, using words like “the crack of marijuana” to describe it. 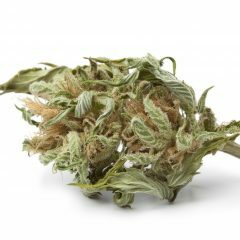 They also often conflate the consumption of cannabis extracts with the dangerous and sometimes explosive practice of home butane extraction. Videos of parents and grandparents dabbing almost always carry a comical tone, showing how unlikely it is for older generations to enjoy this method of cannabis consumption. But what if dabbing looked different? “I don’t know…it looks like crack. Or meth,” one parent said after we showed him how to take a dab. He complained about the number of tools required, and noted that the blow torch seemed a dangerous ingredient in the process. I agreed and thought back to the time our torch malfunction and resulted in a massive fireball, and the time it tipped over and scorched our carpet, and the time the knob got stuck and wouldn’t stop spewing butane. Product innovators, now privy to the challenges, dangers, and stigmas of traditional dabbing methods, are seeking out new ways to harness the effects of dabbing – without the torch and nail. Traditional nail-and-torch dabbing can produce temperatures as hot as 1000 degrees Fahrenheit – with that amount of heat, you burn off many important flavor compounds (called “terpenes”). Not only that, the vapor off a hot nail can be pretty harsh on the throat and lungs. 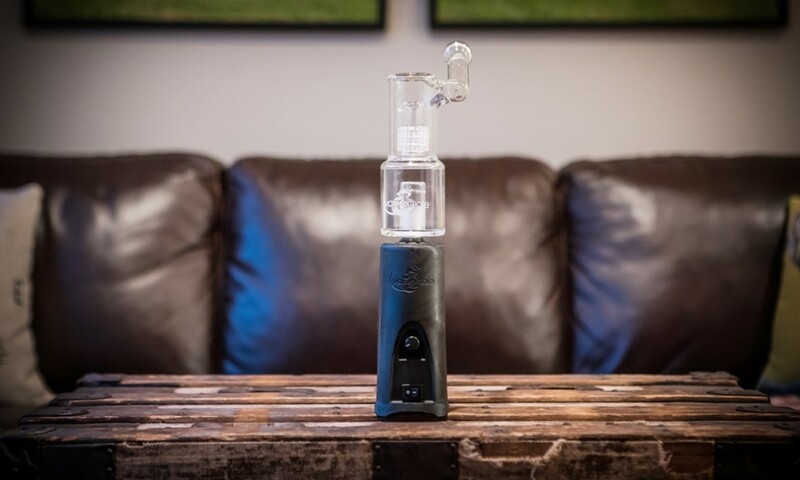 Using modified air pressure to lower compound boiling points, technology like the EVO delivers the potency of a dab without scorching your insides. Why bother with dabbing when you have flower? 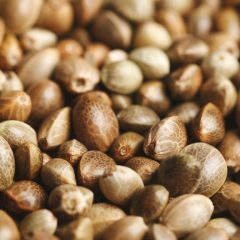 There are advantages to using cannabis concentrates, just as bud offers its unique set of benefits. Extracts strip essential compounds from cannabis, leaving behind the plant matter that leaves sticky tar-like resin when smoked. Concentrates can have pronounced flavor profiles, especially when producers reintroduce terpenes after the extraction process. A little bit goes a long way. 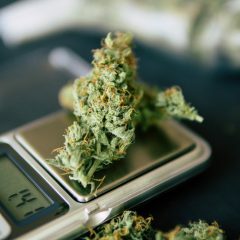 Rather than having to smoke or vaporize a lot of flower for a heavy effect, you can use a small amount of extract and get dramatically more potent effects. This is particularly useful for those treating pain, insomnia, or other stubborn symptoms. You don’t have to dab to get the benefits of cannabis extracts, but dabbing is a great way to deliver effects quickly and with unprecedented strength. Dabs hit harder and faster than oil-filled wicked vaporizer pens, for example, and they don’t require solvents like propylene glycol. Although edibles can be stronger than dabbing, inhalation methods are very different from ingested cannabis. For example, I’ll dab as a quick remedy for nausea and appetite loss. In my experience, an edible takes too long and doesn’t have the same nausea-relieving effects as concentrates. As you can see, dabbing can benefit cannabis consumers of all demographics, but first we need technology that delivers controlled doses at controlled temperatures. Dabbing can be an unpleasant (and, at worst, dangerous) experience for first-timers and novices, so the key is to find ways to minimize discomfort through innovation. VapeXhale and similar producers are leading the charge, but what exciting new inventions will we see in the coming years as cannabis engineering peaks? What Is ‘Larf’ Cannabis and What Is It Good For? Insanely simple, long lasting, and cheaper vape pens? And if figuring out how to dab isn’t confusing enough we then have to deal with the places like CC Smoke Shop in Cathedral City Ca that sold me a Snoop Dog vaporizer that wouldn’t hold its charge. Instead of giving my money back they said they would give me a discount on a more expensive one so they have. Being on Disability it isn’t like I have $80 bucks lying around. Most of the dispensaries don’t carry pipes, bongs ect and the smoke shops are not trained in the use of the different products. I went into one and asked which was thier best vaporizer and was shown their most expensive one. I left and googled it and notonly was it not that great but it was also $8 cheaper. I went back in and there was a different guy, I asked him what the best one was. He pulled out something completely different swearing it was not just the highest rated but the most popular. It happened to be on sale for only $180. I don’t like to shop online, damn I’m old, I like to see and touch things. I want to salespeople to show me how things work. And I would like it to be in somewhere other than a skivy strip mall closet. Yes, new technologies like vape pens help us old folks. But we need info on how to do dabs. I’m 61 years old, and I enjoy concentrates using a vape pen. There is NO WAY I would have even tried it with a torch for the reasons discussed in this article. But we need guidance in how to dab. For example, what are all those silicon devices used for? What are those little buckets you can buy for? They don’t hold much. How do you prep the concentrate for the pen? Do you roll into a ball? How much is too much, and what happens if there’s “too much?” Is it just wasted, or is it going to wreck my atomizer? What happens to the concentrate if there’s any left over and I’ve had enough? We can see uncooked flower, but I don’t see anything in the atomizer. I’m afraid I’m going to flood my atomizer and wreck it. You see, unlike you guys, a lot of us don’t have people in our peer group who can show us how to do things. Even in Nevada, where it’s now legal for any adult, I’m not going to ask people I work with if they smoke. I KNOW some of my students do, but I CAN’T ask them. The articles and videos are a big help. But they kind of start even more advanced than some of us old folks are. Info on how to prepare concentrates for vaping with a pen would be REALLY helpful. Thanks. Are you asking how to get a suitable aliquot of cannabis extract out of its container and onto the nail of your dab rig, or alternatively, into the chamber of your electric vaporizer? If so, here’s your answer: you use a dab tool, or “dabber.” This can be anything from a piece of borosilicate glass rod, to a purpose-made metal tool, to a decommissioned dental tool. Anything that is nonporous, and does not break or burst into flames on contact with your hot nail, can be pressed into service. The recommended quantity of concentrate for newbies is often described as a piece the size of a grain of rice. Take your dab tool and poke your piece of shatter or wax until something this size breaks off. It’s usually sticky enough to adhere to your dab tool. There is no need to make it into a ball–simply apply it to the hot nail and when you see the white vapor, inhale! Do be careful to make sure you’re in a safe and supportive environment, and as the author wisely specified, make sure you’re sitting down….